On behalf of the staff/board of the Mobile Area Education Foundation and partners of the Talent Hub, we thank you for selling out the Advising Summit and for making it a great success! If you haven’t done so already, please take a moment to complete our brief survey to share your thoughts about the summit. During the Advising Summit, we heard you loud and clear when you voiced the summit should have been over two (2) days. Save the dates February 13-14, 2020 for the Education Summit here in Mobile, AL at the Arthur Outlaw Mobile Convention Center (more information to come). 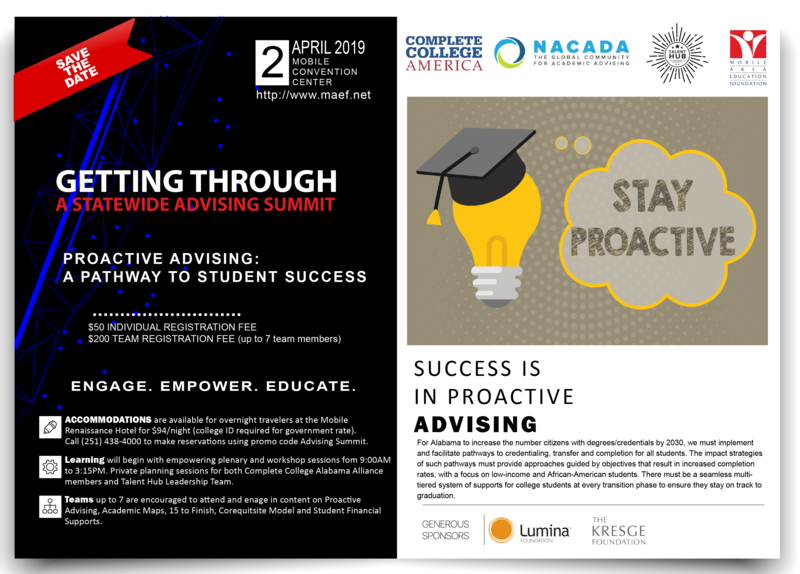 Click here to view Advising Summit details and to download the App. During this interactive session, participants will learn about how CCA’s Game Changer strategies have significantly moved the needle with on-time graduation rates and student success. Participants will gain an understanding of CCA’s mission and beliefs, how we do our work, the strategies we champion, and provide clear path for how to engage with the college completion movement. 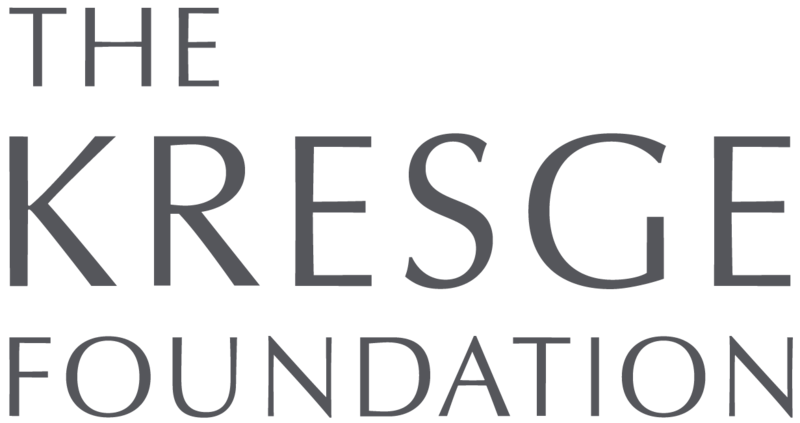 Removing barriers to college access begins with financial literacy; however, using data is key to identifying the tools and strategies to equipping students with financial resources. Closing the achievement gap is crucial, not only in terms of graduating rates, but more importantly to provide students with higher earnings, higher standards of living, and an enhanced quality of life. Find out how academic advising can help support your institutional goal towards equity. There is no one model of advising that fits every institution; however, different structures might provide specific benefits. This session will address the pros and cons of various organizational models. As more institutions consider guided pathways, greater emphasis is being placed on career outcomes. Too few students are beginning their college experience with an understanding of majors and associated careers. Complete College America is working to develop a purpose-driven approach to student onboarding and major choice that includes labor market data, return on investment, and academic/personal assessment. Too often, students who need the most help are the least likely to ask for it. Or worse, some students don’t realize that they are on the wrong path until it’s too late. This session will focus on tools and strategies that academic advisors can use to identify and connect with students just in time to prevent them from veering off track from graduating on time. Advisors frequently encounter students with undistributed credit or transfer credit that need to be evaluated. The session will explore policies and processes to facilitate the articulation of such credits.